I'm moving the web hosting for this site and due to things outside my control I had to take the SQL dump today. So I'm disabling comments so that nothing is missed in the transfer. 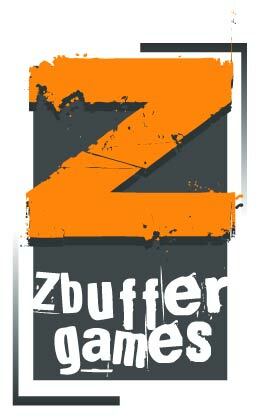 The one big flaw I saw in the original concepts was that if you don't know the company is called ZBuffer Games then its not obvious that the Z is part of the name so I added a z on the bottom. At GDC this year for example they printed my badge in all capitals with no space like this THEZBUFFER. Everyone who read it thought it was 'Thez Buffer'. Otherwise I liked the colors and the layout. Now that the full name of the company was at the bottom they did actually make the Z a little bigger and added a drop shadow to it. The 'text' someone thought was under the 'a' was just part of the design. The other thing I played with was using some upper and lower case e.g. ZBuffer Games, but with the varying positions of the font and the typeface none of them looked good so we went back to lower case. All in all I'm pretty happy given this was the cheapest package and I have no clue what I'm talking about. The only issue I have is that when it was printed on the business cards the background is lighter than it looks on my screen - the joys of not having color calibrated monitors I suppose. Cullen emailed me to say he had a great experience with The LogoCompany and they seem to be a bit cheaper. But all in all I'm equally as happy with LogoWorks. NK - I couldn't agree more with your comment. Though don't forget the ZMan is from England (which means we only pretend we are European when its convenient like shipping barrels of wine back from France on the ferry) even though I've lived in the US for almost 10 years. Though back home they are still holding out with some imperial measurements its still a way of life here in the USA. However you can't blame the US for the creation - the mile was invented by the Romans and refined by the English, looks like the foot comes from Sumeria and the inch is very British (though from that link it seems Sweden had the right idea to make everything metric in 1855. Smart lot the Swedes. Can the ZMan run when he's full of chocolate? For once my bitching paid off and just like Earl karma slapped me right back in the face. I visited a friend on Friday night who happens to read my blog, as a result I got officially certified (by me!) triple chocolate brownies. The brownies were chocolate, there was a layer of Ghirardelli chocolate chips in the middle and chocolate frosting on top. Most excellent! However just before I left I was offered a second piece. There are those of you who may think that anyone who can run a marathon is disciplined in both mind and body, but you would be very, very wrong. 3 hours later I am in bed and I swear I can feel the brownie moving through my digestive system at about the speed of a slug. This is not a good thing as I needed to be up at 7am for a 10k race this morning. However, eventually sleep beats the brownie and I had learned a very valuable lesson to add to all the other valuable lessons that I forget when chocolate appears. It's genetic I tell you - I come from a long line of chocoholics. So onto the race report - Fall City Days 10k. My current PR 51:48 which as mentioned was either a day where gods from all the religions' smiled on me at the same time, or a short course. My whole group started near the back of the pack which means I had to fight through the crowds a bit, but it also means I spent 4 miles passing people which is a great morale boost. The race was very well organised, lots of volunteers from the local school and cheerleaders on the water stops. I could have done with some cheerleaders closer to my own age though that may have just slowed me down. The one odd thing was that they reused the mile marker positions on the way out and the way back which messes up the math I do in my head. We had 1, 2, 3.1 (half way), 2 (2 miles left or 4.2 done), 1 (1 mile left or 5.2 done). I hit half way at 25:15 - I remember when I would have thought that was a stunning 5k race time - so I knew I was doing a good pace. But then when I passed the '2' the second time round I assumed it was actually the 4 mile marker and that I had somehow lost a minute and half off my pace which was a little worrying, but I figured I did a fast 5k a week ago and a tough workout on Tuesday so maybe I was just tired. At the '1' they had '(to the finish)' printed on the marker so it all made sense and I was able to spend the last mile doing division in my head to realise I was still on a pace to beat my PR. It's when you are doing math at mile 6 you really really hate the folk who didn't make time decimal based - from what I can find its the damn Babylonians or the damn Egyptians. Final time 50:35 for an 8:09 pace and 1:23 off my last best. You can never complain when you beat your best time. I think everyone in the group did a new best time including the 3 10k virgins in the group of course. One thing I've noticed as I do more races is that no matter how hard that final push to the finish is I forget it quicker and quicker. I used to remember the rough races for days. Now I get home, add my time to the spreadsheet and start thinking crazy things like 'so all I have to do is run 5s faster per mile and I can break 50:00', which turns into 'that's a 8:04 pace - I should be able to knock another 5s per mile off and run under 8:00 pace' and before I know it 'well if I can run under 8:00 for 10k I should be able to run 8:30 for a half marathon' and 'that pace means I could surely run a full marathon under 4:00:00' which progresses to 'you know that's almost 9:00 pace - heck I may as well just go for that' and before I know it '9:00 pace is 3:55:48 - why don't I just go for beating 3:55:00'. From running a 10k race to a 3:55:00 marathon in one smooth thought process. Damn, I'm one of those annoying running freaks. 2 hours work and the code still does the same thing! I'm just getting going on a new project. I was going to spend June working on some non paid (well non paid at the moment, maybe something in the future) work that would be good for the portfolio but something came up and I took another paid job. Since its all NDA stuff again I'm not going to mention the name of the company but its very cool. This time I get to work with an artist, a sound guy and a game designer and I will be producing a completely finished (but simple) game which is a stretch for 3 weeks work but I'm always game for a challenge. Looks like I will get to use some shader stuff too. I had a basic prototype up and running with some of the placeholder art, but as I added more feature I realised that my code needed some serious refactoring and not the sort that Visual Studio does so nicely with a few clicks. So I set to work and 2 hours later managed to get it all to compile and run and there on the screen was..... nothing.... Fortunately it was only a couple of lines missing (I remember cutting them from one class, but I apparently never pasted them into the new class). So now I'm back where I was 2 hours ago except there are double the number of classes and probably more lines of code but hopefully tomorrow as I add the new features that turns out to be a good thing. Nice feedback, and it looks like the majority of the votes were for the 2 on the right which was my initial choices too. Top left is actually a nice logo but I think the big curly Z said 'video games'. Bottom left just didn't do anything for me, anyone I showed it to, nor any of you. Maybe someone with more art skills can explain that. However since I only had the cheap package I had to choose 1 at this point so I went with the top right. Now phase 2 comes in. You have 2 rounds of revisions where you can tweak colours, placement and other things. Richard suggested purple to match The ZBuffer (though this logo is not for that site), NK suggested making the Z 'go out of the box' and removing the straight lines. Any further guesses? What would ZMan do? I should add I thought there was one huge design issue with the logo. Imagine you didn't know me at all and I gave you a business card with that logo on it. I just wanted to add to the speculation by saying that the goal of the logo was *not* to come up with something for use on The ZBuffer. This is more for my 'professional' business cards for consultancy or for any actual games or demos I produce. 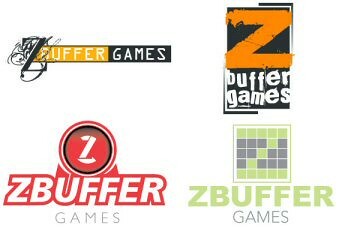 I'm not totally ruling out that it may one day influence a logo for The ZBuffer but for that wasn't the goal. I should add that one of the comments is *very* close to the decision I made. I'll reveal more tomorrow to give a few more folk speculation time. Or maybe I've driven away readers with all the running stories. So I tried out Logoworks and since the process went really well I thought others might like to know about it. I chose the cheapest package ($300) which gives me 2 designers, with 2 concepts each and 2 rounds of revisions. You fill out a questionnaire about your company, any logo ideas you have and you can either send them samples of logos you like or choose some from their portfolio to given them an idea of your preferred styles. I was very open to anything so other than saying I would like to focus on the 'Z' I really left it up to them. Before I show you the final logo I thought you might all like to guess which one I chose to go forward with and what, if any, changes and feedback I had. 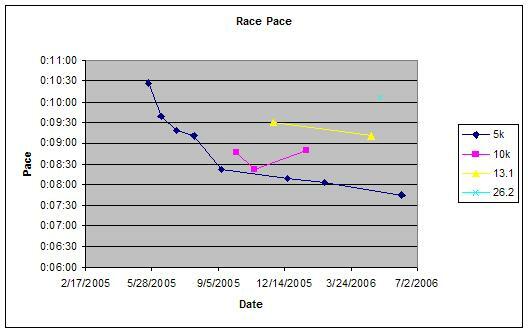 Before I talk about the beer lets get the race report out of the way. The Freemont 5k is a good race for several reasons. Firstly it starts at 7pm which is great for those of us who hate the normal early morning race starts and secondly they have a beer garden at the end which helps through the last few hundred yards. I've had a slight ache at the bottom of my calf for the past few months. It comes and goes and doesn't hurt while I'm actually running but I'm always worried about it. It's looking like the faster running aggravates it more than the distances so I was not sure if I should push it on this race. Oh and I had 6 beers and stayed up way too late on Thursday which also doesn't help. So right up to the start I was not sure if I wanted to race or fun run. I lined up with the 8:30 pace group. My best time is 8:03 pace but I find people always go off too fast so starting further back helps me control the pace a little. It was a crowded start so not much chance for passing and a reasonable up hill to the 1st half mile kept things fairly slow - or so I thought. Mile 1: 7:36. OK so I guess I am racing this. Its a little faster than I wanted so I tried to slow down. There was a short mean little hill around half way which helped but I still managed sub 8:00 for mile 2. I'm still worried about my ankle but now I'm pretty sure I can run the whole race sub 8:00 pace. The last 1.1 miles is always tough but unlike last years race I am keeping up with the people around me. I pass 'J' - our groups lone supporter for the night (we all thank you for coming along) and she inspires me to hit 3 miles in 7:46 for a total of 23:20. The finish line is in sight though I suspect sub 24:00 is a little out of reach but I drain whatever energy I have left and cross in 24:03 for a best time and my first sub 8:00 (7:45!) 5k. Pretty good for a race I wasn't even sure I was going to race in. The stunningly fast 10k in the middle there may be of dubious origin. Another member of my group had a great time there so we are wondering if the race was short somehow. Otherwise I had the best racing day of my life so far. This afternoon I decided to make cookies because, frankly, its the only chocolate left in the house and I needed a fix. So I broke the glass on the special emergency chocolate alarm and grabbed the Triple Chocolate Decadence. As I sit here eating them (still warm) I came to wondering what were the 3 chocolate items that made up the 'triple'. Obviously the cookie dough itself is one, but then I feel like they are taking some liberties. The description says "semi-sweet and milk chocolate chips and chocolate chunks". Surely they are not trying to pass off chips and chunks as different kinds of chocolate? Even at my most desperate I wouldn't fall for that. Which leaves us with the semi-sweet and milk as being the other 2. Now I have a very specialist palette when it comes to chocolate and I can't tell the difference as I eat them. I expect them to be different colors for a start. So Nestle - I'm calling foul on this. I hereby demand that you include chocolate frosting in the package from now on so that the 'triple' is more obvious.